Free and easy on Louisa Street. 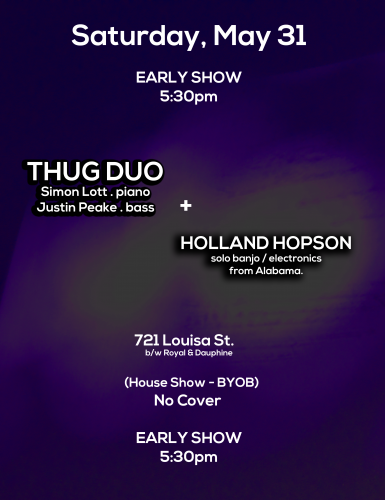 This feels like the perfect way to start the summer: playing a house concert with Thug Duo (Simon Lott and Justin Peake) in New Orleans on Saturday. 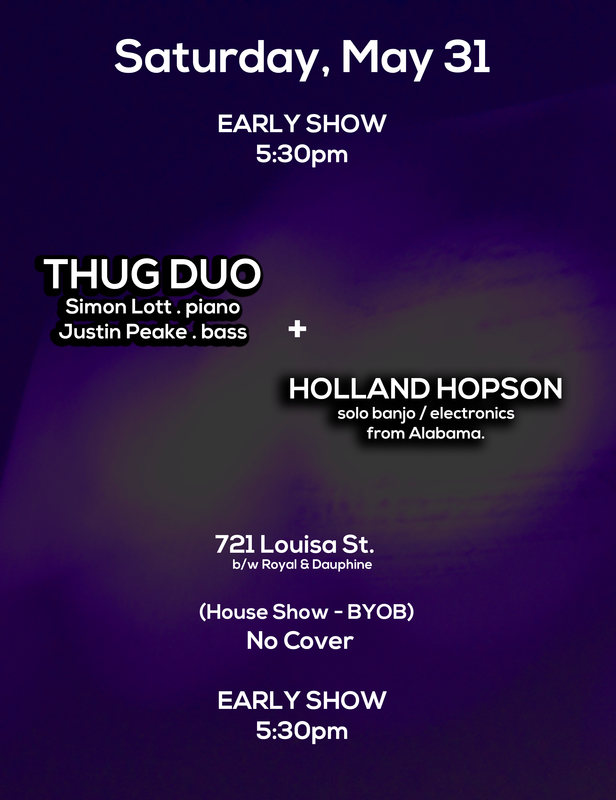 It’s an early show, so come on out and there will still be time to catch some food or music or both afterwards.